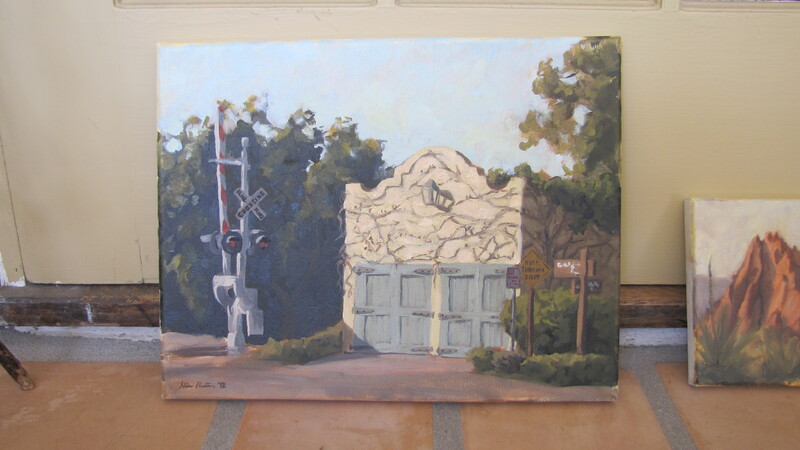 This is a painting of the garage which used to belong to the original owners of the house in which we are currently residing. Back in the day, circa 1905, having a three car garage was unheard of. The third door is in the back. Currently, the garage is owned by the railroad. Previous Maybe I should worry more?